The Islands Trust Council acknowledges that the lands and waters that encompass the Islands Trust Area have been home to Indigenous peoples since time immemorial and honours the rich history, stewardship, and cultural heritage that embody this place we all call home. The Declaration acknowledges that the lands and waters that encompass the Islands Trust Area have been home to Indigenous peoples since time immemorial, and outlines the commitment the Islands Trust has to Reconciliation. The journey to this historic declaration has been long. 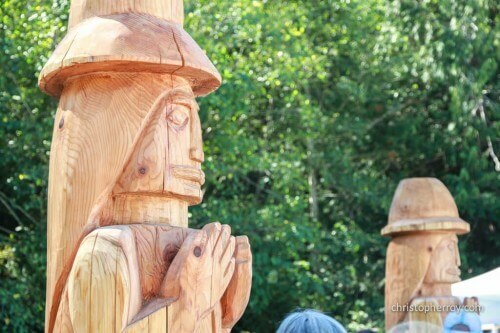 The Islands Trust honours the rich history, stewardship, and cultural heritage of Coast Salish peoples—now and into the future. The Declaration takes guidance from key documents such as the Truth and Reconciliation Commission Calls to Action (TRC), the United Nations Declaration on the Rights of Indigenous Peoples (UNDRIP), the Draft Principles that Guide the Province of British Columbia’s Relationship with Indigenous Peoples, and Islands Trust Council’s First Nations Engagement Principles. The Islands Trust Council Chair will be writing to First Nations in the Islands Trust Area to provide Trust Council’s Reconciliation Declaration.